I honestly planned on avoiding SXSW this year. 2014's events turned out to be a bigger ordeal than the previous years, and it left me worn out and underwhelmed. Increases in the event's popularity and attendance, coupled with last year’s tragedy that left two people dead, left me feeling slightly jaded about SXSW. So I thought this year, I would either sit it out or very casually meander down (I live in Dallas) and see what I could get into. But is it even possible to "meander" into SXSW? No, it's not. Pretty soon the event emails started arriving. And then my friends, who are always clutch, started sending me links to parties and shows. Before I knew it, I was once again RSVPing to Fader Fort and other shows, sucked back into the SXSW vortex without even trying. Why all the RSVPing, you ask? Because this year, like all the other years I’ve attended SXSW, I haven’t had a badge or wristband. Paying for a SXSW badge has never seemed worth the money to me because there have always been so many free options. If you’re wondering if it’s possible to have fun at SXSW without a badge, trust me, it is. 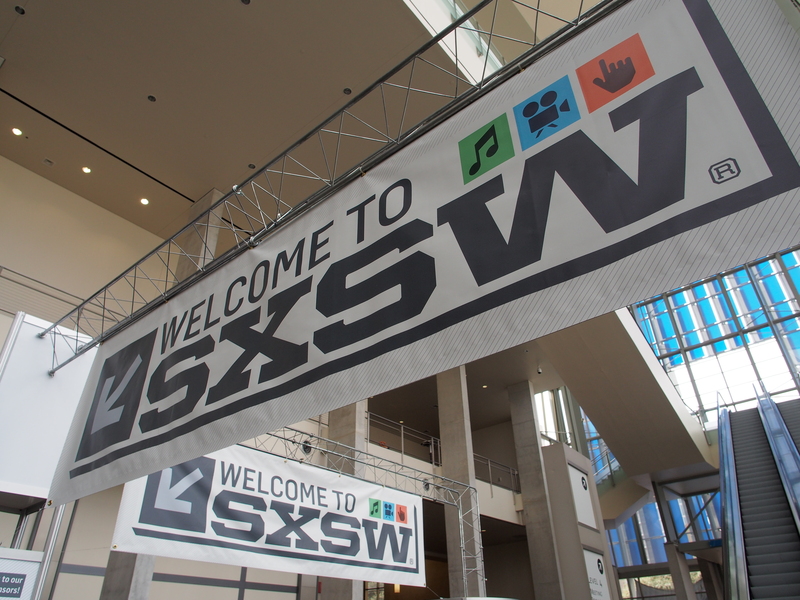 Here are a few tips on how to survive SXSW 2015 without a badge or wristband. If you’re unfamiliar with Texas weather, you may not be used to its unpredictability. During last SXSW, I experienced winter winds, humid rain, and scorching dry heat, all in the span of three days. So if you’re coming from out of town and the weather already looks a little funky, make sure to pack some variety in your clothes. And oh yeah, bring comfy shoes. You’ll be walking a lot. I was pretty lucky with the first two SXSW’s that I attended. I was a Resident Assistant at UT Austin, so I was just a short bus ride, bike ride, or walk away from the heart of things. However, last year, I was staying with a friend in North Austin and getting downtown was always a nightmare. Traffic around downtown is always terrible on a normal day, and it’s so much worse during SXSW. There are buses and a train (yes, just one train, this is the South, what do you expect), but they will get crowded quickly, especially when everybody’s trying to get home at night. If you’re counting on public transportation, do yourself a favor and don’t wait for the last bus or train, since those are usually overpacked. This year, I’m going to try finding parking farther away from downtown and then use one of the Austin B-cycles to get closer. If you’re going to SXSW with a group of friends, and especially if you’re going badge-less, start a group chat. You can give each other updates on which events have short lines and the best free stuff. Follow SXSW on twitter, but also follow hashtags and users such as SXSW Party List, where there will be constant postings of events. There’s the also the Facebook Group SXSW FREE, join that if you can for more info on free stuff and events. You can’t stay connected if your phone is dead. You’ll be out and about all day, especially if you’re camping out in long lines like Fader Fort. So needless to say, make sure your phone is fully charged before you head out, and bring a portable batter charger with you. You don’t want to be caught in the craziness of SXSW without a way to reach your friends. Or at least as many things as you can without going insane. It’s possible to go a little overboard with RSVPing, especially since in reality, you won’t go to even half of the things you RSVP for. But it’s better to be safe than sorry. There’ve been numerous times I’ve stood outside a venue thinking I couldn’t get in, only to remember that I’d already RSVP’d for it. If you’re willing to spend some money on this, you can use RSVPster to make sure you’re signed up for as many things as possible. Even if you haven’t RSVP’d to something or it’s an official event, don’t be afraid to try. I heard about a stand up comedy show with Sasheer Zamata and assumed it was only for badge holders. But a friend insisted that we should go by and try to get in. Even though we arrived late, the ushers didn’t check for badges or wristbands and just let us in with a smile. If I’d insisted on not going by, I would have missed out on a hilarious show. There are a bunch of official SXSW parties and events, and since they take place downtown, they’re among regular clubs and bars. Some of the most fun I've had at SXSW has been at bars where smaller, local bands are playing. A break from SXSW madness is always good. Let me tell you a story about a girl who waited in a Fader Fort line in light rain for about an hour, spent all day lingering inside the venue even though the bands playing didn’t really interest her, and then tried not to suffocate under the hot tent while listening to Rick Ross (who she didn’t like that much), just because there was a rumor that Kanye West would show up to perform at Fader Fort. Spoiler: he didn’t. Don’t let that be you this year. Sometimes there are surprise guest appearances, sometimes there aren't. Just don't get caught up in rumors of one until it's too late.